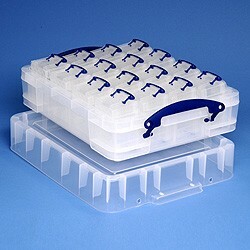 The 11 litre XL Really Useful Box comes in the colour of your choice and contains the clear divider tray, which itself contains the sixteen clear 0.3 litre Really Useful Boxes. 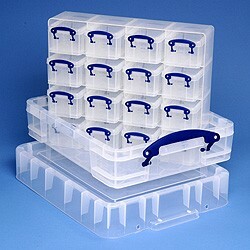 This Organiser Pack can be bought without the 11 litre XL Really Useful Box i.e. 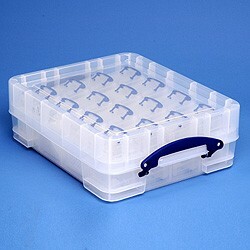 just the inner tray full of 0.3 litre Really Useful Boxes. Please see the 0.3 litre Really Useful Organiser Pack for details.